Let us first consider the law of rectilinear propagation. The earliest surviving optical treatise, Euclid's Catoptrics1 (280BC), recognized that light travels in straight-lines in homogeneous media. However, following the teachings of Plato, Euclid (and all other ancient Greeks) thought that light rays emanate from the eye, and intercept external objects, which are thereby ``seen'' by the observer. The ancient Greeks also thought that the speed with which light rays emerge from the eye is very high, if not infinite. After all, they argued, an observer with his eyes closed can open them and immediately see the distant stars. Hero of Alexandria, in his Catoptrics (first century BC), also maintained that light travels with infinite speed. His argument was by analogy with the free fall of objects. If we throw an object horizontally with a relatively small velocity then it manifestly does not move in a straight-line. However, if we throw an object horizontally with a relatively large velocity then it appears to move in a straight-line to begin with, but eventually deviates from this path. The larger the velocity with which the object is thrown, the longer the initial period of apparent rectilinear motion. Hero reasoned that if an object were thrown with an infinite velocity then it would move in a straight-line forever. Thus, light, which travels in a straight-line, must move with an infinite velocity. The erroneous idea that light travels with an infinite velocity persisted until 1676, when the Danish astronomer Olaf Römer demonstrated that light must have a finite velocity, using his timings of the successive eclipses of the satellites of Jupiter, as they passed into the shadow of the planet. The first person to realize that light actually travels from the object seen to the eye was the Arab philosopher ``Alhazan'' (whose real name was Abu'ali al-hasan ibn al-haytham), who published a book on optics in about 1000 AD. The law of reflection was correctly formulated in Euclid's book. Hero of Alexandria demonstrated that, by adopting the rule that light rays always travel between two points by the shortest path (or, more rigorously, the extremal path), it is possible to derive the law of reflection using geometry. The law of refraction was studied experimentally by Claudius Ptolemy (100-170AD), and is reported in Book V of his Catoptrics. Ptolemy formulated a very inaccurate version of the law of refraction, which only works when the light rays are almost normally incident on the interface in question. Despite its obvious inaccuracy, Ptolemy's theory of refraction persisted for nearly 1500 years. The true law of refraction was discovered empirically by the Dutch mathematician Willebrord Snell in 1621. However, the French philosopher René Descartes was the first to publish, in his La Dioptrique (1637), the now familiar formulation of the law of refraction in terms of sines. Although there was much controversy at the time regarding plagiarism, Descartes was apparently unaware of Snell's work. Thus, in English speaking countries the law of refraction is called ``Snell's law'', but in French speaking countries it is called ``Descartes' law''. In 1658, the French mathematician Pierre de Fermat demonstrated that all three of the laws of geometric optics can be accounted for on the assumption that light always travels between two points on the path which takes the least time (or, more rigorously, the extremal time). Fermat's ideas were an extension of those of Hero of Alexandria. Fermat's (correct) derivation of the law of refraction depended crucially on his (correct) assumption that light travels more slowly in dense media than it does in air. Unfortunately, many famous scientists, including Newton, maintained that light travels faster in dense media than it does in air. This erroneous idea held up progress in optics for over one hundred years, and was not conclusively disproved until the mid-nineteenth century. Incidentally, Fermat's principle of least time can only be justified using wave theory. 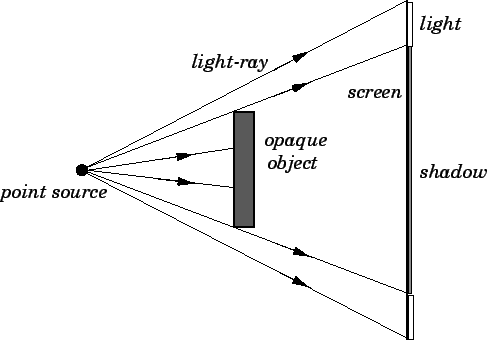 Figure 53: An opaque object illuminated by a point light source.